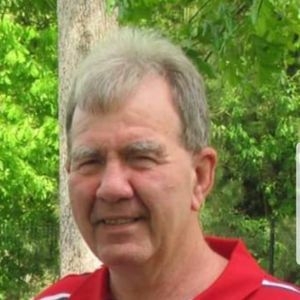 Kenneth "Ken" Wayne Rhodes, age 68, Army Veteran of Bladenboro passed away on Friday, October 26, 2018 at his home surrounded by his loved ones. He was preceded in death by his parents: Henry Castle Rhodes and Patty Floyd Rhodes. Ken leaves behind his loving wife: Patsy Bowen Rhodes, son Jarod Branton Rhodes, both of the home; one brother: Phillip Rhodes of Hope Mills and many nieces and nephews. Ken was a very attentive, loving husband, father, and friend. He never met a stranger as he loved everyone. Ken enjoyed making others laugh and lending a helping hand wherever he could. A golden heart now at rest. The family will receive friends from 1-2:45 pm on Monday, October 29th at Zion Hill Baptist Church in Bladenboro followed by a funeral service at 3:00 pm. Burial will follow the services in the Hickory Grove Cemetery in Bladenboro. In lieu of flowers, memorials may be made to the Autism Society of North Carolina 5121 Kingdom Way, Suite 100, Raleigh, NC 27607. Add your thoughts, prayers or a condolence to Kenneth Wayne's guestbook.